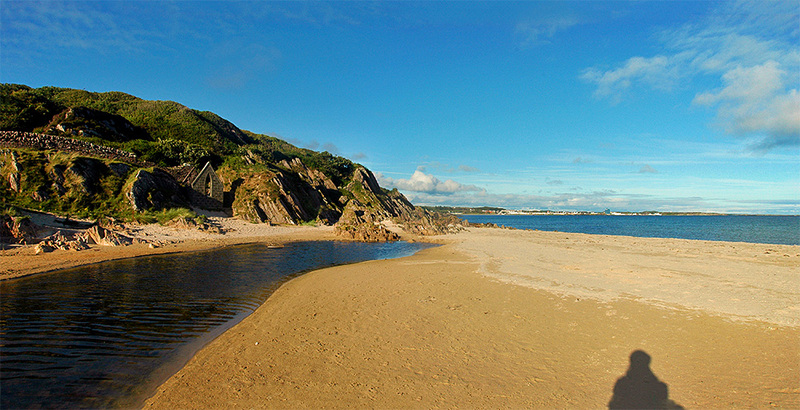 A panoramic view of Port Ellen, seen from the beach at Kilnaughton. Ramsay Hall on the left, next to it the White Hart Hotel. The back of The Islay Hotel towards the right. 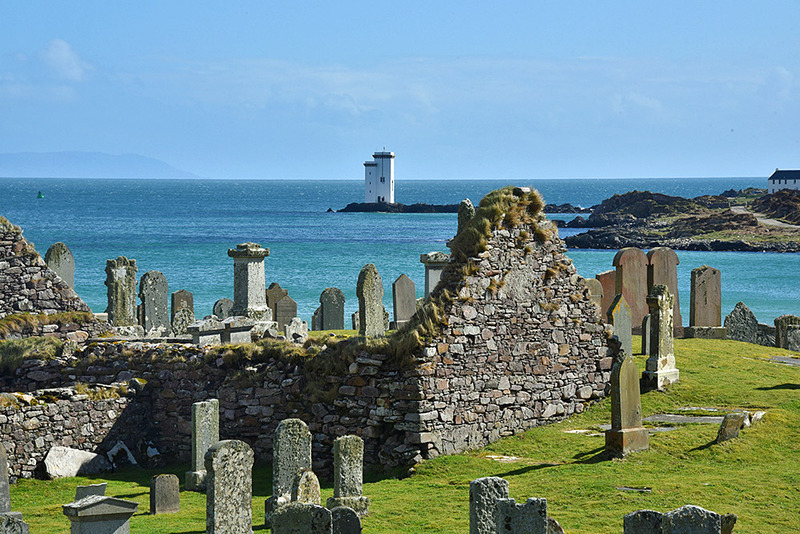 A view across the old Kilnaughton cemetery and chapel over to Carraig Fhada lighthouse on a sunny April day on Islay. Kintyre just visible in the distance.